DUE TO SOLAR FLARE INTERFERENCE, TODAY’S GALACTIC GEAR TRANSMISSION WILL BE SLIGHTLY DELAYED. CHECK BACK SHORTLY FOR JAX’S REPORT FOR THE DAY. When Aegis Dynamics attended its first Intergalactic Aerospace Expo in 2787, we used it as an opportunity to give the public a chance to see many of our ships that were reserved for military use. We have returned every year since, and in that time, we, as a company, have undergone many changes. For example, several of our Naval combat ships have become available for purchase in civilian models, including the Sabre light fighter which we premiered at last year’s Expo. 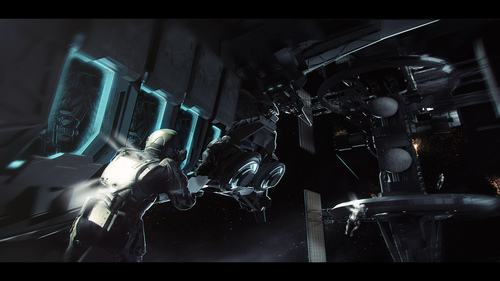 We are thrilled to be able to continue this proud tradition at the 2946 IAE and hope you enjoy getting up close with ships like the Reclaimer, as much as we enjoy creating them. In addition, fans are encouraged to stop by the Aegis booth for a chance to meet some of the Navy’s most decorated veteran pilots and hear their experiences flying Aegis ships, as well as their tips for getting the most out of these powerful machines. Look forward to seeing you there! Aegis’ powerful military lineup is coming online rapidly! The Avenger, Gladius, Retaliator, Sabre, Vanguard and Starfarer Gemini are flight ready as of Star Citizen Alpha 2.5. The Redeemer is hangar ready, but will require a significant update to take flight. 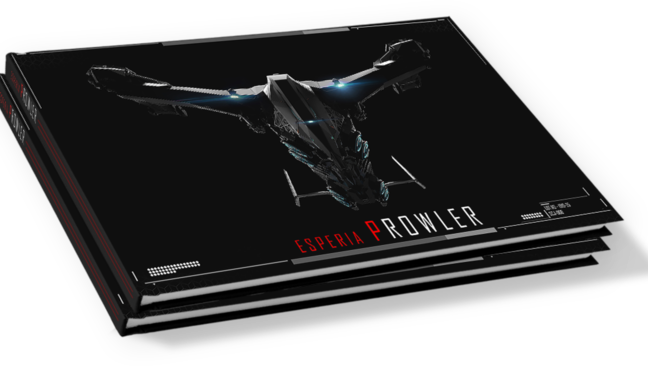 The Reclaimer and additional Retaliator and Vanguard modules are also in production. 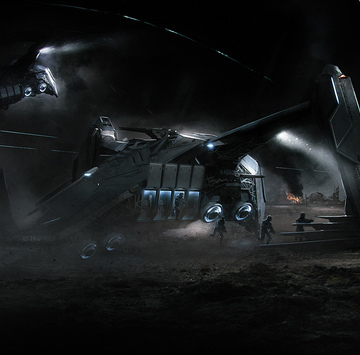 Concept artists are working on a top secret Aegis design to launch next year. For those looking to expand their combat options, this introductory collection of ships from Aegis Dynamics is a great place to start. One of the most prolific ship manufacturers in the Empire, Aegis Dynamics has put together this expansive curated collection of some of their most notable vehicles. Created as part of the ‘Masters of Flight’ series in conjunction with the flight-sim Arena Commander, the Wildfire pays tribute to famed pilot Aria Reilly for her distinguished service with the legendary Squadron 42. This Hornet comes equipped with her own personally selected loadout preferences and a custom special edition livery honoring her iconic ship. Outside of Cal Mason and Selon McClintock, no other pilot is as synonymous with Squadron 42 than Aria Reilly. Interestingly, Reilly was one of the few who not only served as a combat pilot in the renowned squadron for eight years, but as their commanding officer when she was promoted to captain the carrier, UEES Caspian. During Aria’s early tours as a combat pilot, she obsessively tested all of the ships that she was assigned, meticulously testing various loadouts and configurations to push the limits of the ship. For one reason or another, all the ships would ultimately fail her rigorous series of tests… until she tackled the Anvil Hornet. “There wasn’t a scenario or loadout that I could put [the Hornet] through that it couldn’t find its way out of. Like the damn ship was doomed to succeed,” she recalled in an interview. Needless to say, Aria Reilly’s Wildfire Hornet became her mainstay ship and her default configuration (swapping energy cannons for ballistic repeaters and varying up her missile systems) became her ‘all-purpose loadout,’ capable of handling whatever situation met her in the field.